This simple, yet elegant bookcase is made from walnut veneered plywood panels and a solid walnut base. 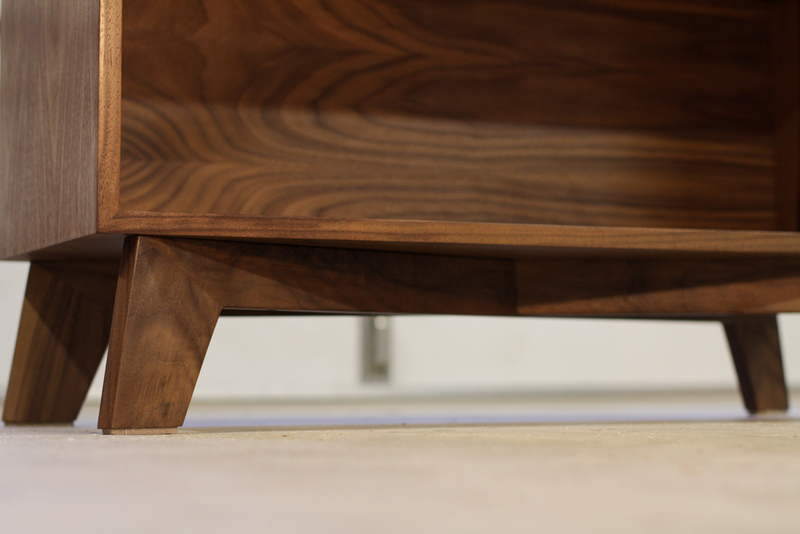 The beautiful walnut grain is featured throughout the piece including the continuous "waterfall" grain that runs from the top to the sides as seen in the pictures. It is configured in a two shelf design, but can be made to any custom specifications.